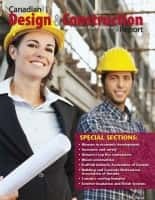 Home archived posts How much should you budget for architectural, engineering or construction marketing? How much should you budget for architectural, engineering or construction marketing? I don’t have resources. But I have been in the industry for many years. It depends on whether you are referring to a start up or established business. And whether there is a plan in place or not. Starting from scratch is always more costly. Maintaining is less. On average, your marketing/bd budget should be anywhere between 4-6% of total annual revenue. That has always been my theory. 3-5% sounds right based on my experience. That does not include the salaries of the marketing staff. It also does not include coop funds that you might get from vendors if you are in an industry where vendors give out marketing coop funds. The coop funds are added to the funds allocated to marketing by the company. Totally agree with (previous responder). One thing I might add…..the 4% would be for a well established market….if you are pursuing a new market sector, the spending can be as high as 10%. We create separate budgets for each market sector that rolls into an aggregate budget and we track by individual markets. I asked this same question of my colleagues in the Mid-Atlantic a few years ago. I found that firms had varied mixes of marketing, sales, and BD costs. Most, however, were spending a total of 7-14% of revenue on these combined efforts (including salaries). 7-14% has been my experience, but this really depends on the make up of your firm (size, services, market, and geographical locations). A great reference is Lisbeth Quebe’s book Plan It (available at the SMPS Bookstore). The book has great information on developing a marketing budget. Once you read these responses, you’ll understand why the snappy answer to this question, “It Depends” is really not that far off the mark. Are you counting salary costs — especially those of principals and rainmakers — and are you considering the interface between marketing and business development in calculating your numbers? Are you primarily maintaining existing accounts and relationships or are you breaking into a new market? What is the “ticket price” of a typical transaction in your business? 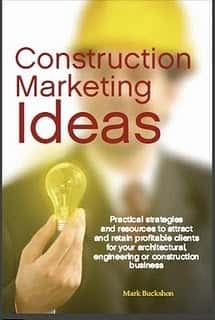 In my Constru ction Marketing Ideas book I suggest a wide range of budgets for marketing and business development ranging from 5 to 25 per cent of projected revenues. The highest number would apply in new business development or in businesses where business development expenses are for relatively small ticket items or which (by industry standards) require a high business development expense. (Remember, I am counting salaries, including those of rainmakers and the portion of the Principal’s time in marketing and business development) for this figure. If your marketing and business development costs are greater than 25 per cent, I would be concerned about sustainability. After a certain point, you will have trouble delivering enough value to your current and potential clients to justify this leel of expense — when BD costs get too high, the only businesses that succeed are operating scams or near-scams. Of course, you may have to spend more in critical or start-up situations; in these cases, i suggest your “budget” should more be in sweat/effort and creativity than cash. At the low end, it is unlikely you are doing even the barest minimum if your marketing budget is less than five per cent. In this situation, you have a largely captive and loyal client base, your princples and staff are spending more time on client service than business development, and you are using the budget mainly to keep a little more new stuff coming in the door. The lower number also is reasonable if you exclude salaries and actual business development costs, assuming these are out of different budgets.